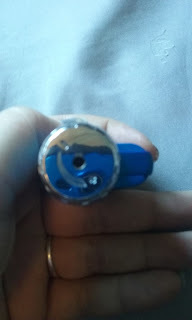 It never fails, I need a lighter for something and then I can't find one. Even as a smoker, I lose and misplace them often. You always have to have a back up. In this case though, a BIC should be the back up. 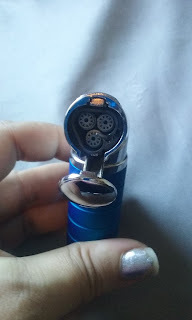 Techno delivers the coolest and best working butane lighters I have ever used. I have reviewed a few from this company so far, and they are all different in a lot of ways, from the body, to the flame. This particular one, is really different. It gives you three flames instead of just one like the others I have reviewed so far. 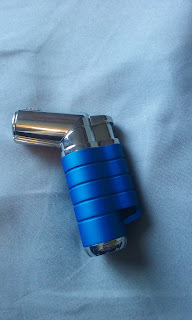 It came with far less butane in it then the others though. The grip is nice and easy when you are lighting or holding it and I love the blue. The Amazon page showed black and gold and the gold about made me gag. Just know that you can get the colors and styles you want, you just have to work with the company. If you just order, you will get any color combo in that type, that they choose. 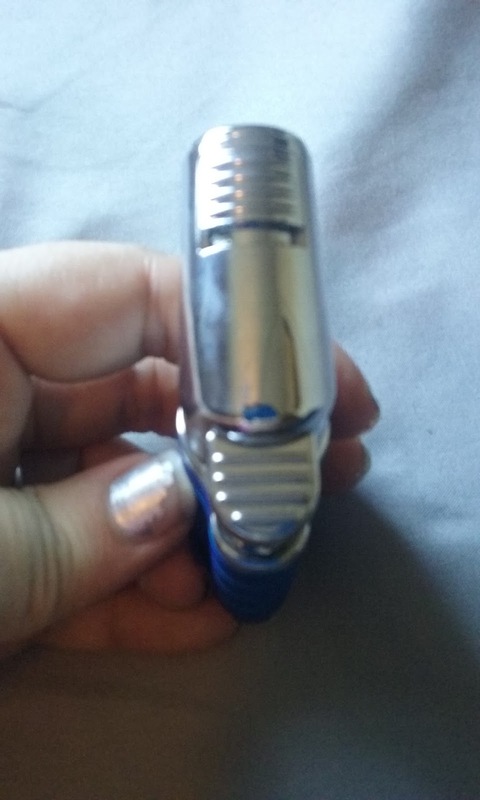 I need to get some higher quality butane though, I have tried twice now, with different bottles to fill this lighter and the others and it just isn't working for me. Higher quality aka more expense butane will be bought.